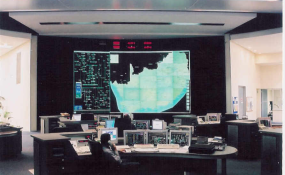 Eskom's national control centre (file photo). Although Eskom has decommissioning schedules in some of its documentation, it is not always reflected in the messages received by people on the ground. It is this confusion that is adding to the anxiety of workers like those at Hendrina power station near Middelburg in Mpumalanga. In its 2018 integrated report, Eskom says it is not going to decommission any of its older stations yet - a process that is very expensive and involves not only demolition of infrastructure but the rehabilitation of the surrounding environment. A decommissioning schedule is included in the draft Integrated Resource Plan (IRP) 2018, in line with what it is saying now about the closing of some units at Grootvlei, Komati and Hendrina. The document states that the socioeconomic impact of the decommissioning of the plants "has not been quantified or included in this IRP". In its submissions to the air quality control regulator earlier this year, Eskom asked for another exemption from air pollution controls imposed on it by law. Eskom says it cannot afford to become compliant, as this will cost over R180bn. Here, it provided the regulator with a detailed decommissioning schedule which it says will reduce its emissions. All of this has filtered down in one form or another but it is nearly impossible to find two people outside of Eskom who have received the same message. Some workers have apparently been given notices to the effect that Eskom will start to decommission the older plants such as Hendrina in 2025. The National Union of Metalworkers of South Africa believes that Eskom plans to decommission "eight to 10" plants, while the National Union of Mineworkers says only certain units are being closed. South Africa's power utility Eskom is in crisis. In recent weeks, this has been brought home to South Africa's 58 million citizens as major power cuts hit the country.